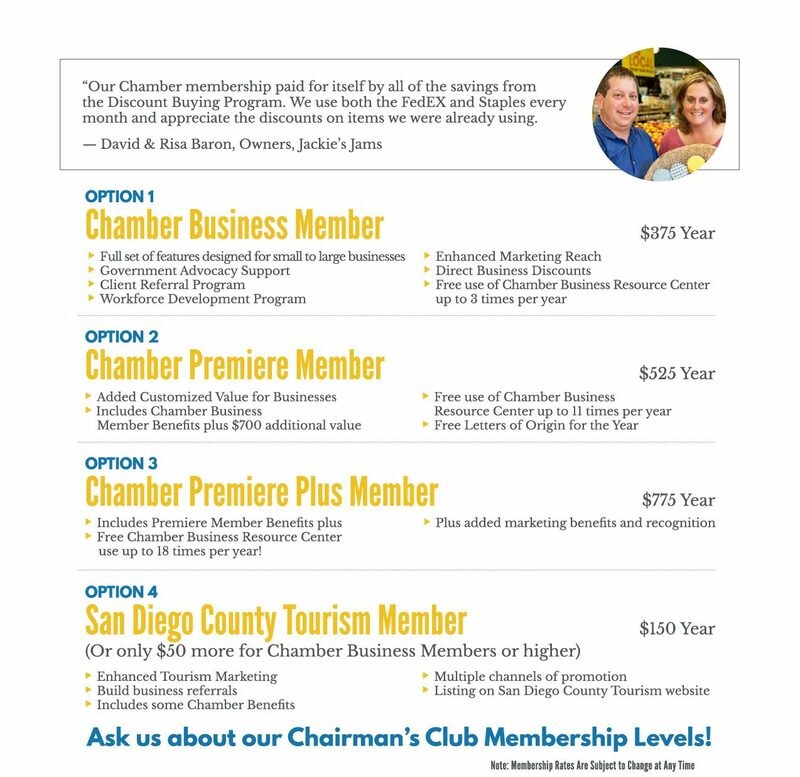 Why join the San Diego East County Chamber of Commerce? Support the Chamber’s Mission to be a strong voice for business and to help your business grow. See some of our testimonials from current satisfied members! Select from a variety of membership levels, relationship building networking events, extend your marketing, participate in local government advocacy — structured to meet your business needs. The Chamber is East County’s leading business association. By joining the Chamber, you’ll be connected to our community’s best businesses – representing over 600 businesses in San Diego County. Our networking programs, community activities and special events provide you with opportunities to develop new leads and increase your referrals. Plus your website search engine optimization will improve by being listed through the Chamber’s website and social media marketing channels. The San Diego East County Chamber of Commerce is the Voice for large and small businesses. We provide an opportunity for your business to be heard. Our advocacy at the city, county, state and federal level all bring you the expertise, access and strategic partnerships that help you achieve more. Join our Advocacy team and be a part of the group that matters. Our innovative educational and leadership program links you with other successful business people so you can sharpen your skills and build your connections. Our active committees give you the opportunity to shape the issues that matter to you. For basic help with your Chamber web tools, contact Chamber staff at 619-440-6161. Member orientations will be held at the Business Resource Center at the Chamber. For advanced help with your Chamber web tools (profile, Hot Deals), use Chamber member support services provided by Wisdom Matrix.